Craig Levein: Is compliance officer trying to make Scottish football look bad? 0 Have your say Craig Levein has accused the SFA compliance officer Clare Whyte of giving Scottish football a bad name by being too quick to punish players for showing passion. The Hearts manager said he was concerned that the game was being “sanitised”.Levein spoke out after player confrontations on the pitch last weekend saw notices of complaint issued to Hearts, Aberdeen, Rangers and Celtic, despite referees issuing red and yellow cards at the time. Rangers manager Steven Gerrard was also cited for misconduct after the Old Firm derby and Celtic captain Scott Brown faces a disciplinary hearing for his post-match celebrations of his side’s 2-1 win.But Levein believes that unnecessary interventions are painting an unfair picture and threatening to douse the passion and competitiveness the Scottish leagues are renowned for.“It’s almost like the compliance officer is trying to make Scottish football look bad. 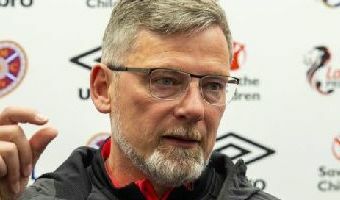 I don’t know why … [Read more...] about Craig Levein: Is compliance officer trying to make Scottish football look bad?